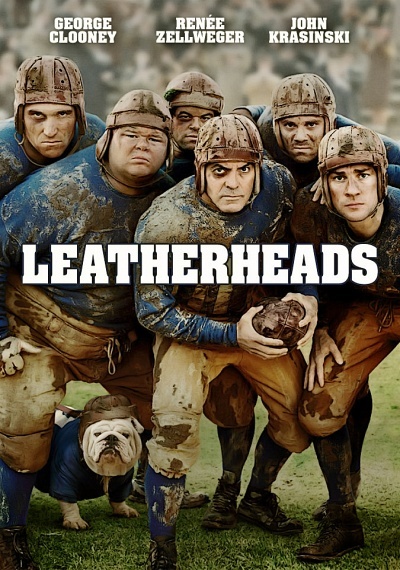 Leatherheads :: Movie Information :: RabbitTV GO! Academy Award® winners George Clooney and Renée Zellweger team up in this fun-filled comedy set against the beginnings of pro football. Dodge Connelly (Clooney), captain of a struggling squad of barroom brawlers, has only one hope to save his team: recruit college superstar Carter Rutherford (John Krasinski, The Office). But when a feisty reporter (Zellweger) starts snooping around, she turns the two teammates into instant rivals and kicks off a wild competition filled with hilarious screwball antics! Critics are cheering Leatherheads as "a real winner" (Claudia Puig, USA Today).